Don't you hate to rank a book with stars? I do. I mean, I want to give it a rating to help other people out, but...there's so many things to consider in that rating. It would be easy if I were rating it to someone I know, someone who knows me. I would know what their reading taste is, and they would know mine, so the rating would have more meaning. Don't you think? I do. It's easier for me to give my opinion on this blog because it's not just a star rating, I can explain why I liked a book or didn't like it. You see, I decided to do the Goodreads Reading Challenge and put the app on my phone. I'm supposed to rate a book between one and five stars when I'm done reading it. Now, there IS a place to write additional comments, but I don't really have time to do all that. I've tried to a couple of times, but - for me - it would be like writing a blog all over again. Too much to say, you know? I said all that to lead up to my star ranking of the novel I just completed. 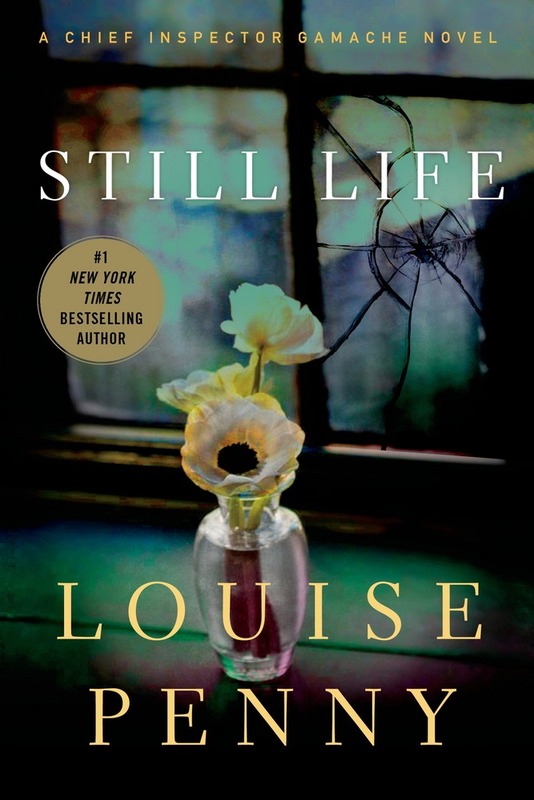 I finished Still Life by Louise Penny today, which is the first in her Chief Inspector Gamache series. I was already struggling with what I was going to rate it, so I decided to look at how some other people had rated it. I was dumbfounded to see that some people gave it five stars! And, thus, my problem began. You see, a book has to be something extra-special to rank five stars with me. The Name of the Wind by Patrick Rothfuss is a good example of five stars to me. But it isn't all about size, as I definitely think Neil Gaiman's The Ocean at the End of the Lane ranks a five. In middle school books, the Ranger's Apprentice series by John Flanagan would rank five stars for me, as would Revolution by Jennifer Donnelly. It isn't that I don't give five star ratings, it just means you really have to impress me to get one. Still Life didn't impress me. But I liked it. I didn't like it enough to give it four, I knew that immediately. My problem was whether to give it a three or a two. Three seemed like too much and two seemed too few. Hmmmm. I enjoyed Still Life, but it was a bit disjointed here and there. Not the plot itself, but exchanges between characters and one character that seemed to serve no real purpose at all (unless, I suspect, she may be a pain in the side of the inspector later on in another book). There were a few very cliche' characters and a whiner. There were also a few places where it was hard to tell who was saying what. I don't know if that was just my ebook that was lacking defined paragraphs and quotation marks, or if the printed copy looked the same. Here's the thing, though, I read the book over a couple of days, and I did enjoy it. It was a fun, easy read with some twists and turns I liked. The overall plot worked, as a small town crime mystery, but I'm not sure I'd be interested in reading the whole series. I have wondered, though, if the author improves with each book. I can see how Still Life could have been a better book with a few changes and a better editor. I may, eventually, read another just to see if the author improves on a few things. After all, this is the first in a series of eleven (number twelve comes out in August of this year), and it was written over ten years ago. On second thought, I think I will read another after I've read some others on my "to read" list. I just talked myself into it (which happens, sometimes, when I talk to myself). 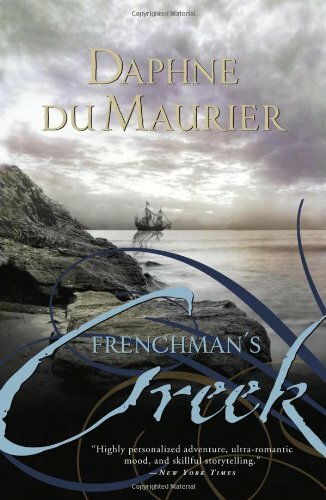 By the way, did I mention I finished Frenchman's Creek by Daphne du Maurier? I enjoyed it thoroughly! As I mentioned in a previous post, it was a good adventure. I imagine the author had great fun writing that one. I've been to Cornwall, where the author lived, and can understand the inspiration for writing such a novel. It's easy to imagine what it must have been like in the days of pirates. I have no doubt I'll be smiling about that adventure for some time to come. Am I allowed to give five stars to a novel just because it was fun, and I like pirate stories? See? This is the problem with stars.